Realizing that it needs to change something to get back on the right track again, HTC has reworked many of its offerings. Not only has the company made changes to the styling of its smartphones, but it has also innovated its custom software found on those devices – the Sense UI. With the launch of its newest handsets – the One series of Androids, HTC has introduced a new version of Sense, which comes as an answer to all the negative feedback that the company received regarding its UI overlay. Most importantly, HTC has put a lot of effort into simplifying the UI in order to make it a bit easier to work with, and a bit lighter on the processor as well. After spending some time with the quad-core One X, we can safely say that the company has achieved its goals for the most part, but alas, there's still some work to be done. Watch the video below and check out the screenshot gallery for an in-depth overview of HTC Sense 4.0! And, if you'd like to see how this whole thing works on an actual handset, feel free to read our HTC One X Review! The Tegra 3 inside the One X is not the latest and greatest. Qualcomm's Snapdragon S4 processors have been proven to get better benchmark results (One S). This is because of the Snapdragon die size, compared to the Tegra 3. In Quadrant for example, I have seen the One X get 4200~, whilst the One S gets 5100~. If you wan't to improve, then just get rid of the non-Sense bloatware. Is there a way to categorize apps and label them in the app drawer? It's one of the features I would have to say I love about MotoBlur. that's one really glitchy browser, but I won't be using it anyway. The buttons on the browser ALWAYS appear when you slide your finger fast from the top to the bottom! The "blink" when you zoom in is there because the "rearrange text to fit page" feature is turned on, so the phone rearranges the text everytime you zoom in or out! You can turn it off in browser/settings/advanced settings if you don't like it! I would suggest you do your homework before you do a software overview or never do one again ( I would go for the 2nd if i were you ) ! Anw we all know that you are an iFan and try to find cons on every phone you review that is better than the iPhone! John V. does a good job on reviewing phones! You should go work o\in an Apple store! You will be happy there! Am I the only one who wishes that there was a nice 4 inch display phone with these kinds of specs? Am not a huge fan of large screens, or UI skins. A 4 inch, pure ICS, dual/quad core device would be perfect in my opinion :D..... Anyone hear of any such device coming out? Actually yeah, Sony does. Check them out. 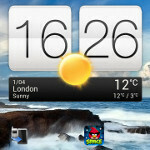 the samsung blaze 4g from tmo.. its GB but im pretty sure it will be updated to ICS or you can root.. The only one I can think of is the G2X on T-mobile... But that's Gingerbread, it might be updated... Though the Tegra 2 might not give you the best experience with ICS. The only others I can think of is the Galaxy Nexus, but it has a 4.6 inch display (around 4.3 if you don't count the software buttons) Maybe the HTC One S on T-mobile with an ICS ROM installed? Very bad performance of web browser.It is laggy and pinch to zoom or double tapping is choppy.It seems that web browser is confused and does not understand what we want.This type of browsing performance on quad core processor is really a shame! Can't wait for a fully functional Sense 4 rom for the Inspire. I've always liked Sense and have thought that it looks more... polished? than vanilla Android (except for ICS, but I still prefer Sense). I usually use Dolphin Browser anyways, so if the browser is "glitchy", although seeing the comments above I doubt it is, then I can deal with it. Btw, is there a Translator widget? That's the widget I use the most... I think I can still install the one from sense 2.1 though. It worked in 3.0/3.5 for me. Ray, you have a very condescending tone when you review a non Apple device, I'm not saying that you you do it on purpose but it just comes out almost on every sentence. Kind of funny.